We take service and customer assistance seriously. 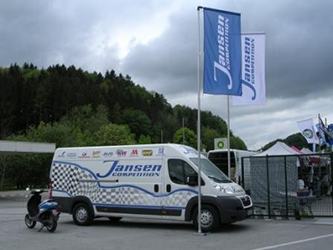 Therefore you can find our service van at many motorsports events in Austria and abroad. Our staff members are at hand to help and assist you in any problem you may experience at the track. Also, they carry the most important products with them in the trailer. We are also exhibiting at the most important trade shows for motorsports and classics. Here you can find the current schedule of the events attended by us. We are frequently updating this list to keep it really up-to-date. You are welcome to make an appointment online via our contact form.